As you already know I love love love cocktails but I love cocktails served in a jar even more. For some reason they just taste sooo much better. 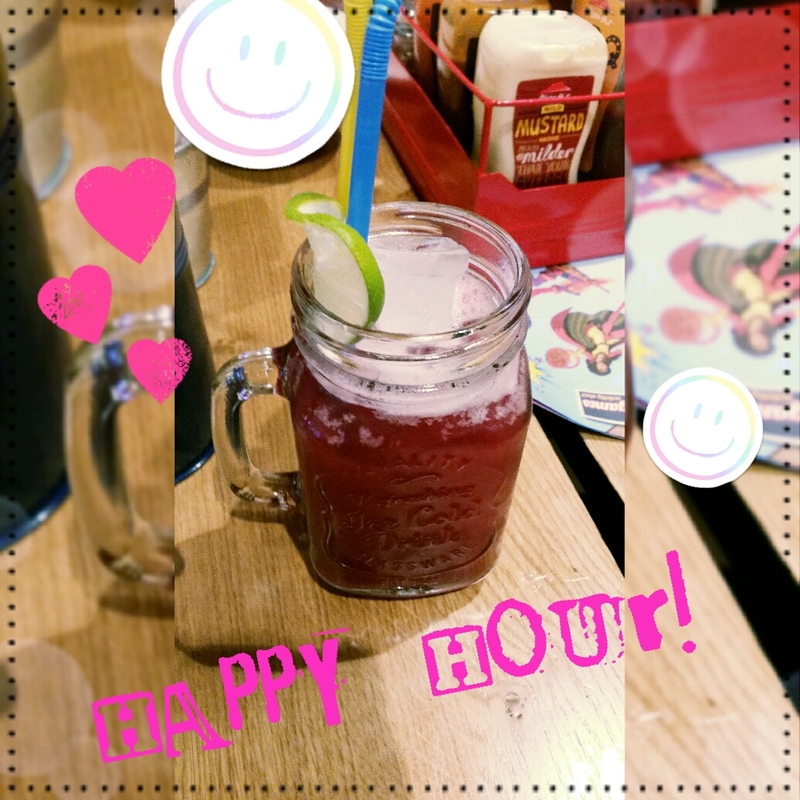 When we took Cali to Pizza Hut for her birthday we coincidently got there just in time for happy hour, so I got 2 Woo Woos, which were soo yummy. My mum was supposed to have one but she’s not much of a drinker and doesn’t appreciate cocktails like I do so I was like ‘I’ll be having that one too’ Pizza Hut has really changed since the last time we went there. It really reminds me of TGI Fridays now (OMG their cocktails are amazing) and I love the addition of cocktails to the menu. Throw all of that in a cocktail shaker (You can probably find one in the £1 shop) give it a shake, add ice and lime and you’re good to go. Also if you wanna give it that retro feel, serve it in a jar with some funky straws. This drink is perfect when you’re getting ready for one of those rare once in a blue moon girls night out.